As we know, dining at orchard is never cheap and cheaper food at most food courts is mediocre and mostly “meh”. 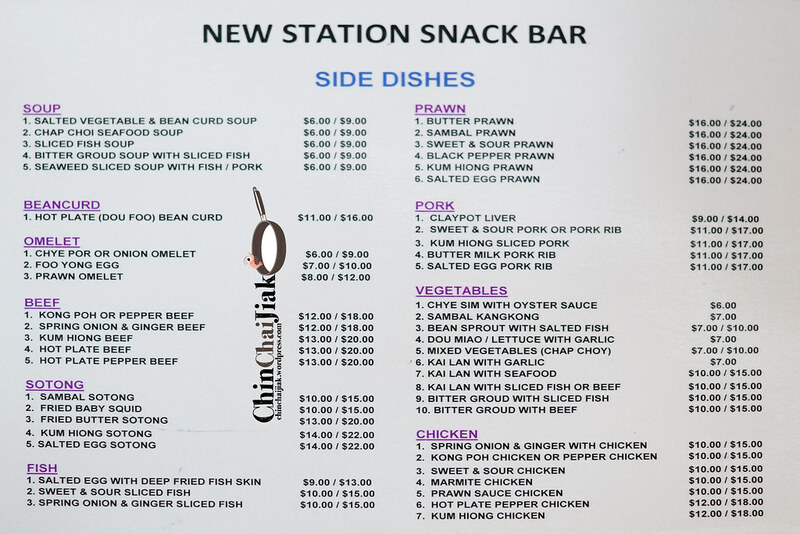 There are actually a few places that offers good food at good price and one of them is the New Station Snack Bar at Far East Plaza. It’s situated at level 5 beside the well-known chicken rice. This inconspicuous coffee shop offers a good selection of Cze Char items at coffee shop price. 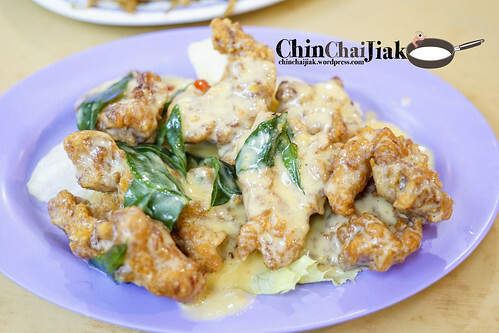 They are most famous for a couple of items like Salted Egg Pork Rib, Salted Egg with Deep Fried Fish Skin and Claypot Bee Tai Mak. Menu 1 of 2. Click to enlarge. Menu 2 of 2. Click to enlarge. Apart from the usual curry leave and chilli, the flavour of the sauce mainly come from butter and salted egg yolk. Unlike most salted egg pork rib that i had, they actually do not add sugar/condense milk into their blend of salted egg yolk sauce. The pork rib is lightly flavoured and is well fried on the outside while it’s tender on the inside. Each piece of boneless rib is generously coated with their buttery egg yolk sauce and goes perfectly with white rice. The thing that I like most about this Salted Egg Pork Rib is it’s not overly cloying due to the absence of sugar and the whole plate of pork rib was snapped up in no time. 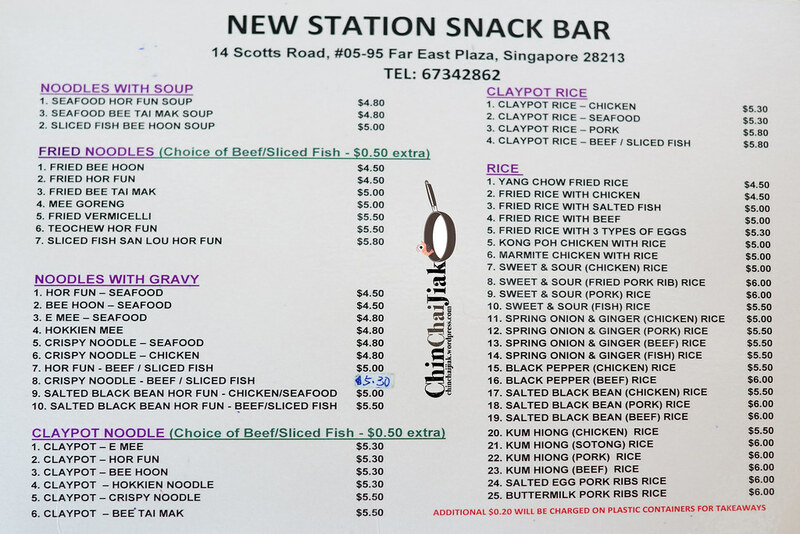 A plate of pork rib costs me $11.00 and there’s also option to order their Salted Egg Pork Rib Rice at $6.00. 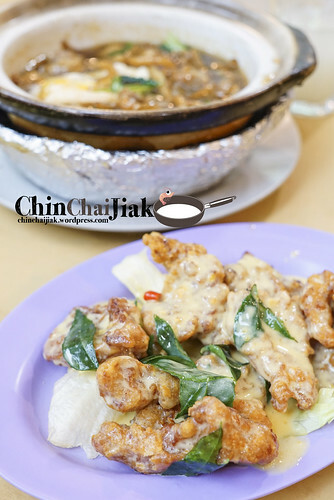 This is another dish that i like – piping hot claypot Bee Tai Mak in black bean sauce with chicken cubes. 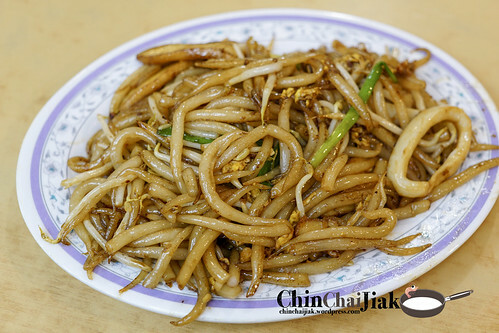 The best thing I like about having Bee Tai Mak is there’s no worry of mess or splattering as the whole meal can be finished using a soup spoon. 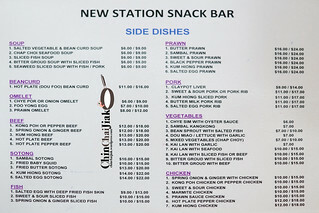 There are choices to upgrade to seafood and beef version at an additional $0.50. Some may find the sauce a little salty by itself but it’s good if you have it together with the Mee Tai Mak. Their black bean sauce is thick and flavourful and the hot claypot ensures that it remains so until the last mouth. 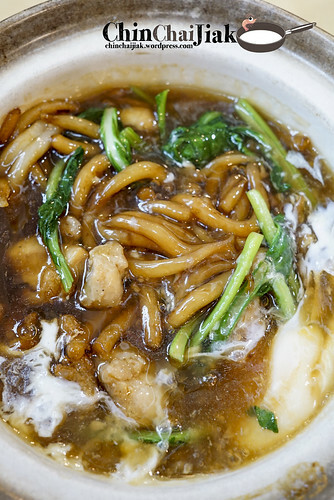 The Mee Tai Mak is smooth and the crunchy veggie enhances the overall texture. By stirring in the egg, it balances the salty taste and thickens the sauce further and completes the icing on the cake. Add in a spoon of their Sambal chilli for more kick. This dish is a little less exciting than the other two. 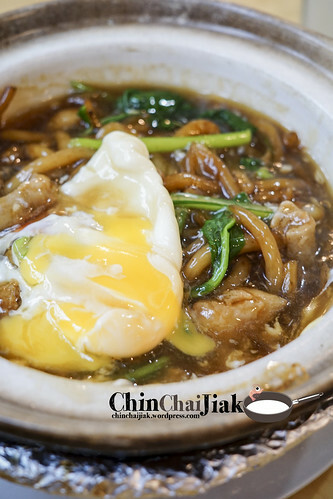 It’s lightly flavoured and the idea is to enjoy the Bee Tai Mak texture with crunchy bean sprouts and egg, like our fried kway teow. It’s not sweet, and the fragrance of this dish comes almost entirely from the alluring smoky flavour of Wok Hei. I didn’t quite like it at first mouthful, but it gets better and although I didn’t finish the entire dish, i had more than I expected. I find their food very reasonably priced and my vote goes to their Salted Egg Pork Rib and Claypot Bee Tai Mak. There is not much ambience to mention of but i find this place more peaceful than a typical Orchard Road food court that is bursting with crowd and noise. 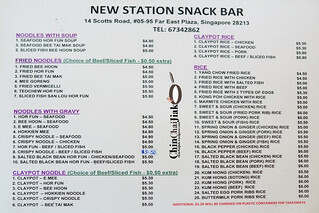 The food that I had are also of decent quality and overall I had a good experience at New Station Snack Bar.